significant criminal activity which has occurred on the leased property. 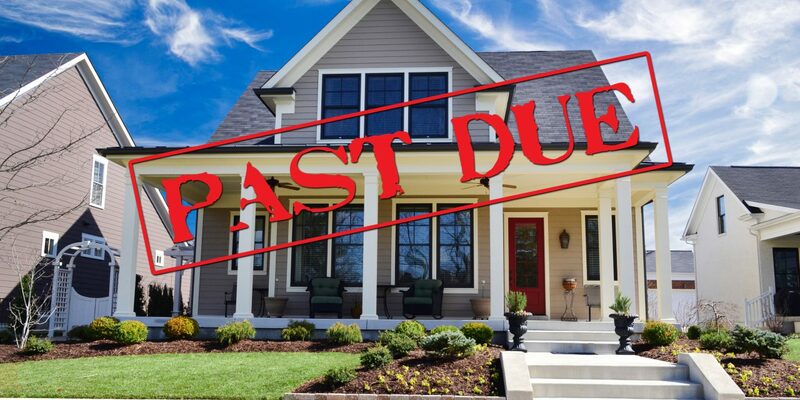 To cure a delinquency, the tenant’s delinquent rent payment needs to actually be paid to the landlord within the three-day period after service of the notice to pay or quit. For instance, when a check for delinquent rent tendered to cure the delinquency is returned unpaid due to insufficient funds in the tenant’s account, the delinquent rent demanded in a three-day notice has not been paid. At that point, the landlord may file an unlawful detainer (UD) action if the tenant remains in possession. 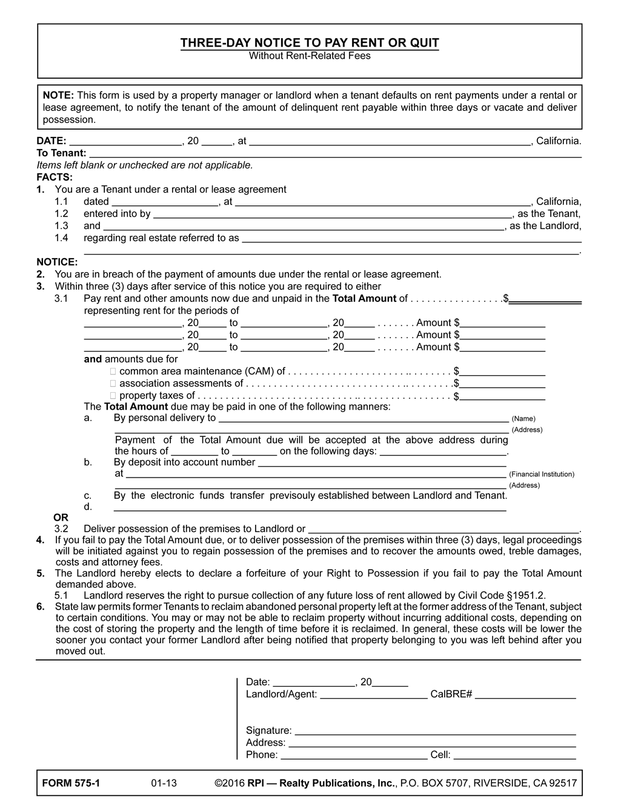 Unless the tenant actually pays the delinquent rent prior to expiration of the notice, the tenant’s right of possession is terminated by the declaration of forfeiture provision in the three-day notice. Similarly, rent paid by check and timely received by the landlord becomes delinquent when the check is returned due to insufficient funds and funds are not otherwise received within a mutually agreed to grace period. When the rent is delinquent, the landlord may serve the tenant a three-day notice to pay or quit. Is the rent delinquent or is the tenant within a stated grace period? What amounts are due and for what reason are they unpaid? When can delinquent rent be estimated in the three-day notice? 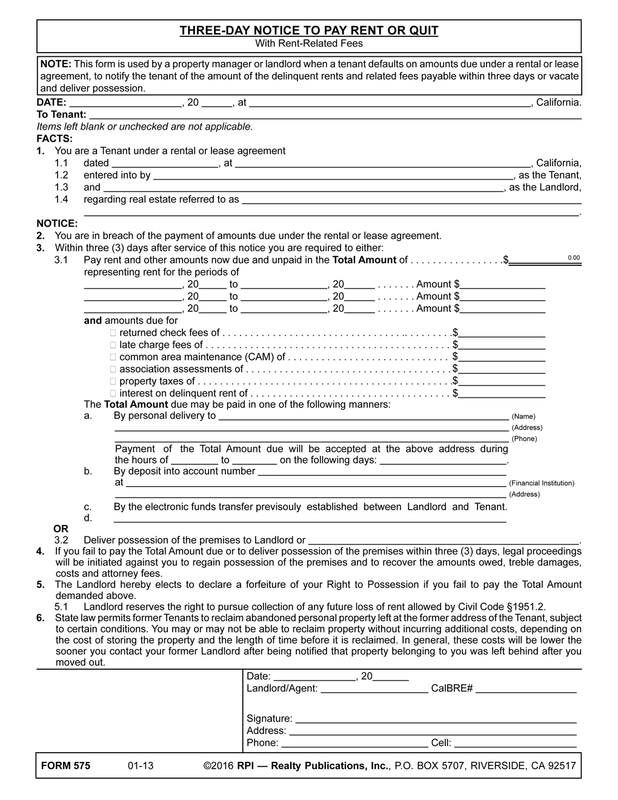 What is a reasonable estimate of unknown but delinquent rent? When does the three-day notice expire allowing a UD action to be filed? When does the tenant’s right of possession actually terminate? How are occupants not named in the rental or lease agreement evicted? For a UD action to be valid, the three-day notice to pay rent or quit served on a residential tenant states the exact amount of money due and unpaid. Conversely, a nonresidential landlord may estimate the amount of money due and unpaid when the exact amount cannot be accurately ascertained, as may occur in percentage rent formulas. For both residential and nonresidential tenants, when the amount stated in the three-day notice is less than the actual amount due and unpaid, the tenant may pay the amount stated and avoid eviction. To collect any amounts omitted in a three-day notice, the landlord serves another three-day notice to pay the balance or quit. The three-day notice served on a tenant needs to be the correct type before the tenant’s unlawful detainer of a premises can be established and the tenant evicted. When a tenant’s breach is the failure to pay rent or other money obligation which is due, the tenant is served with a three-day notice to pay rent or quit. This type of breach is called a monetary breach. Thus, it is curable by paying money. other amounts of money properly due as compensation or reimbursement of expenses arising out of the occupancy. PreviousMay a homebuyer rescind their purchase for nondisclosure of a defect discovered prior to refinancing and improving the property? NextClient Q&A: What happens when the buyer or seller breaches? 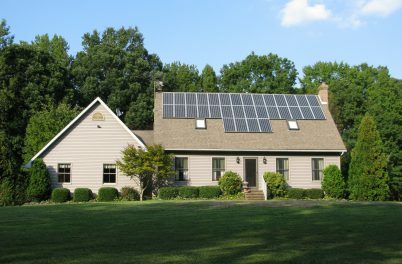 FARM: An easy, breezy summer move!